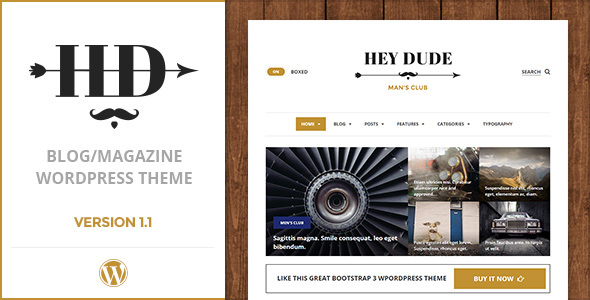 HeyDude is responsive a blog/magazine theme with beautiful design and great functionality. You can easily change functions using the Theme Options & WordPress Customizer. You may use it for men’s blog or for magazine portal with any information on main and others page you like. This theme works with WPML (plugin not included), you may easily translate it on your native language.